Posted November 4, 2009 in Jack Kirby, Mick Statham, Silver Surfer. 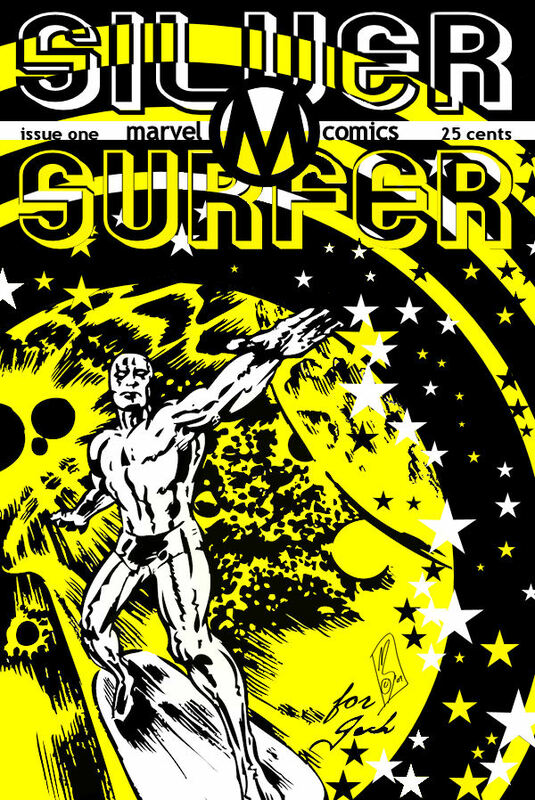 UK artist/print-maker Mick Statham re-imagines Silver Surfer #1, inked from an original Jack Kirby sketch and rendered in Mick’s own unique style. For more of mick’s work take a look at his website and blog. The original cover by John Buscema can be found here.